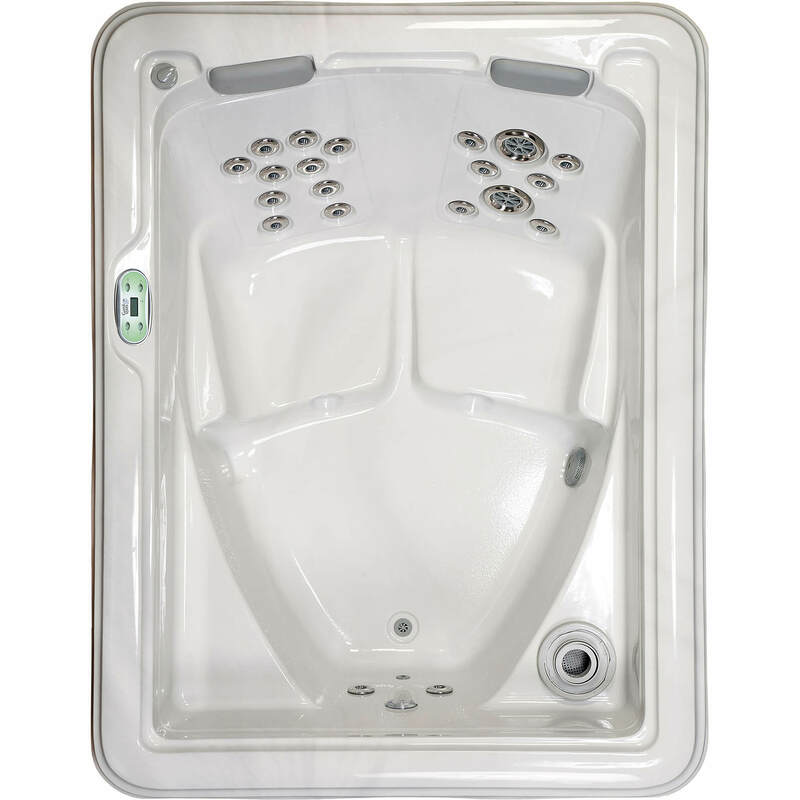 • Stainless Steel Jets – The corrosion resistant fixture covers add an elegant, glimmering accent. 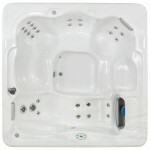 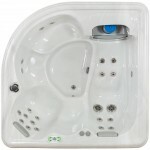 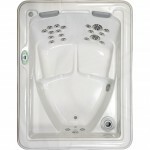 • Blue LED – This cool, blue LED light creates a calming and tranquil spa environment. 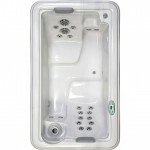 • ArcticPac Insulation – This double layered insulation system features a reflective sheet of bubble-foil lining the inside of the cabinet, combined with a coat of Icynene™ foam that adheres to the spa’s shell and hose connectors. 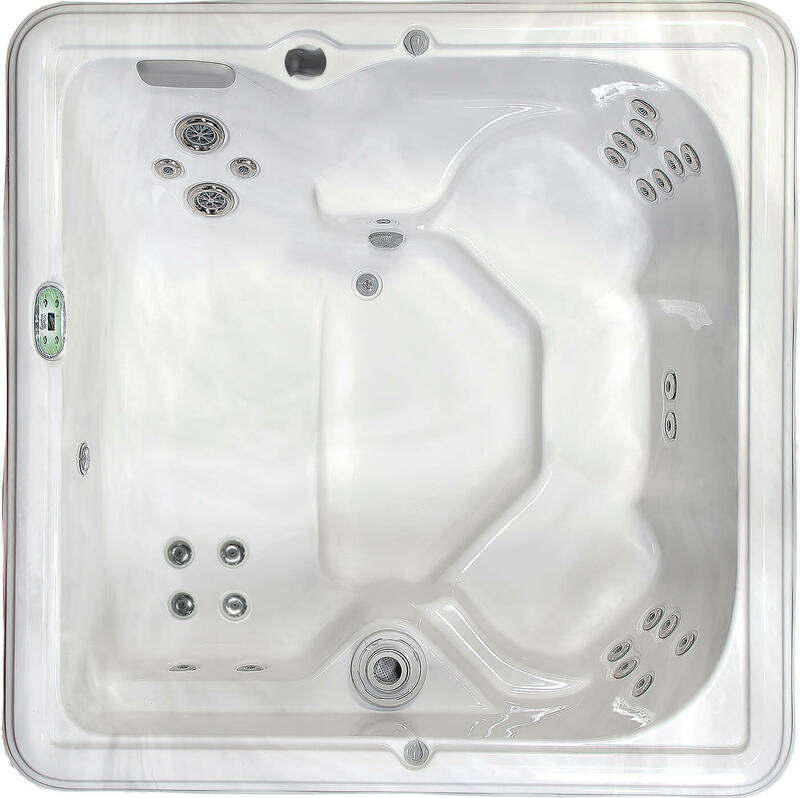 ArcticPac Insulation retains heat, keeping the spa energyefficient and the water at a tropical temperature. 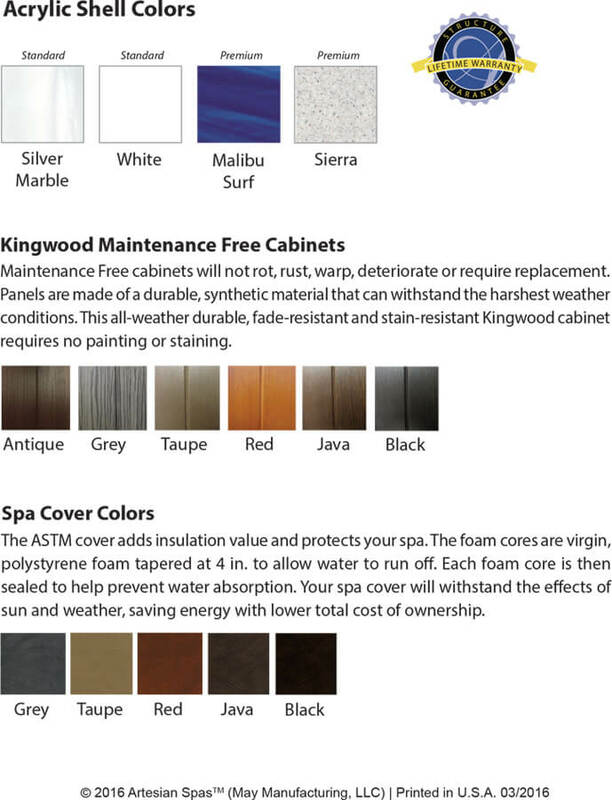 • Kingwood Cabinet – Synthetic cabinets weigh less than wood, yet are more resilient and durable. 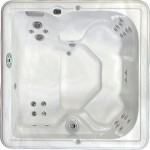 Unlike wood, these cabinets will not crack, chip, warp or rot. 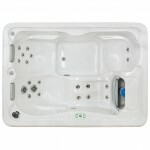 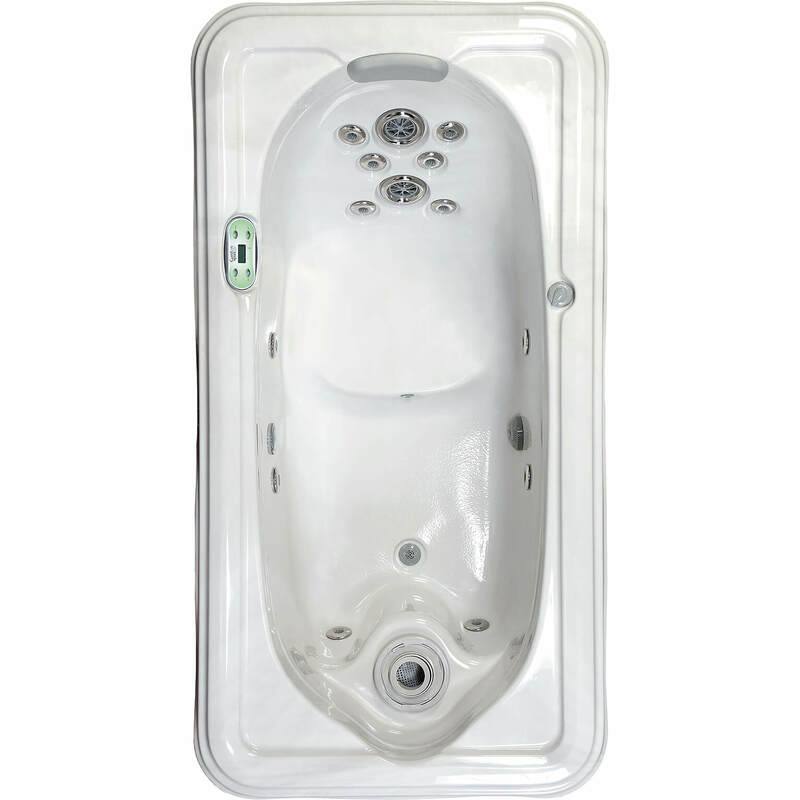 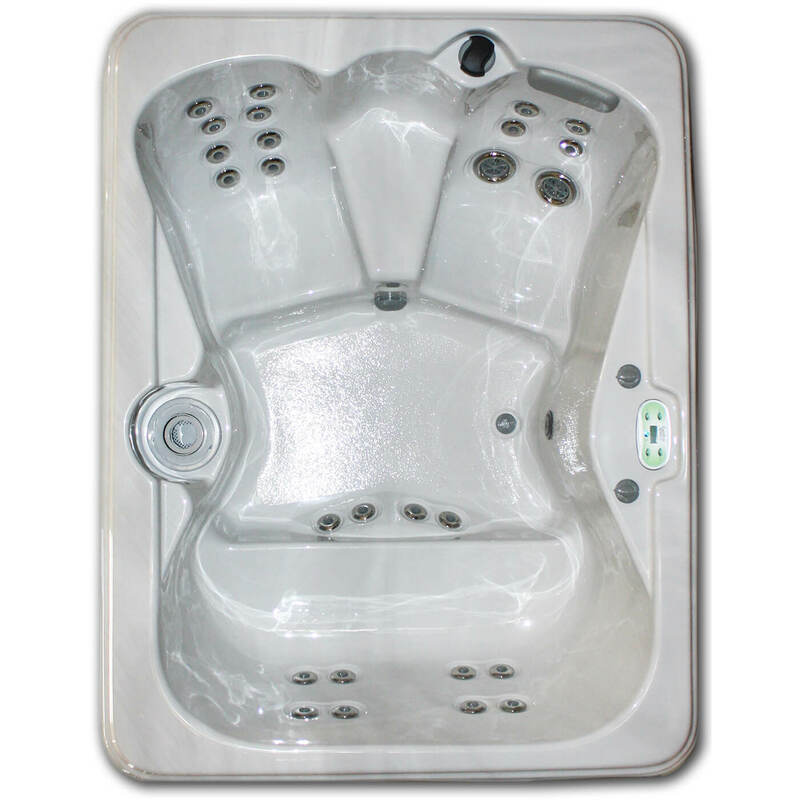 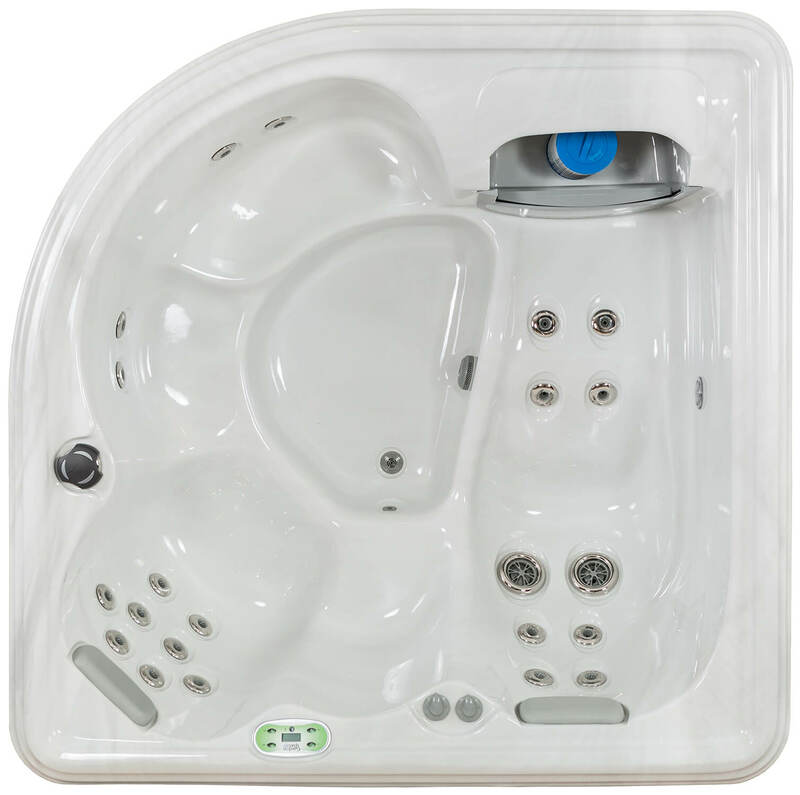 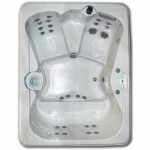 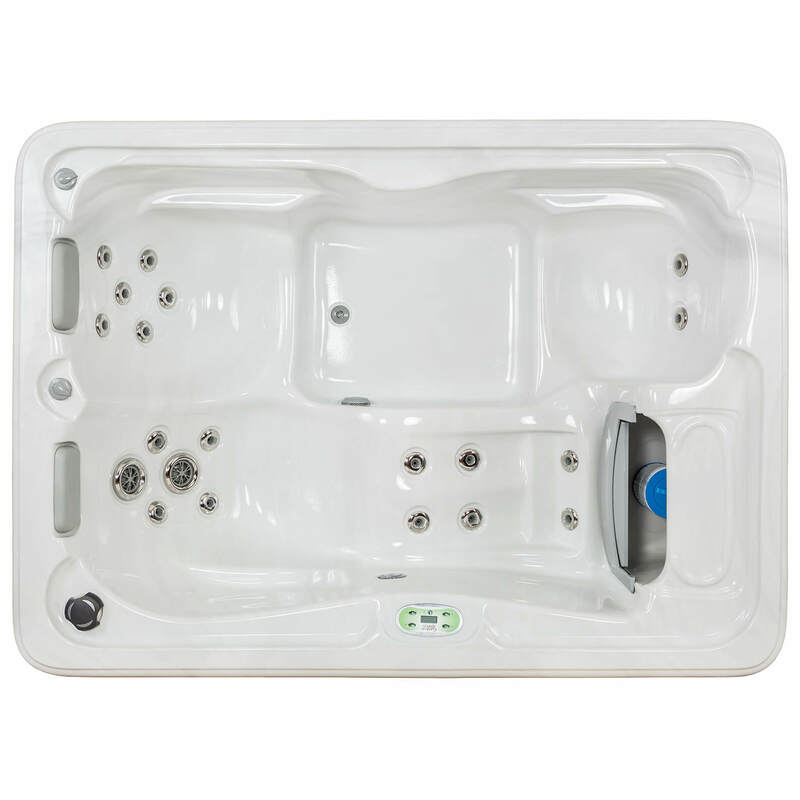 • ABS Bottom – This ABS bottom is fully insulated and completely seals the underside of the spa keeping it impervious to moisture, pests, and time. 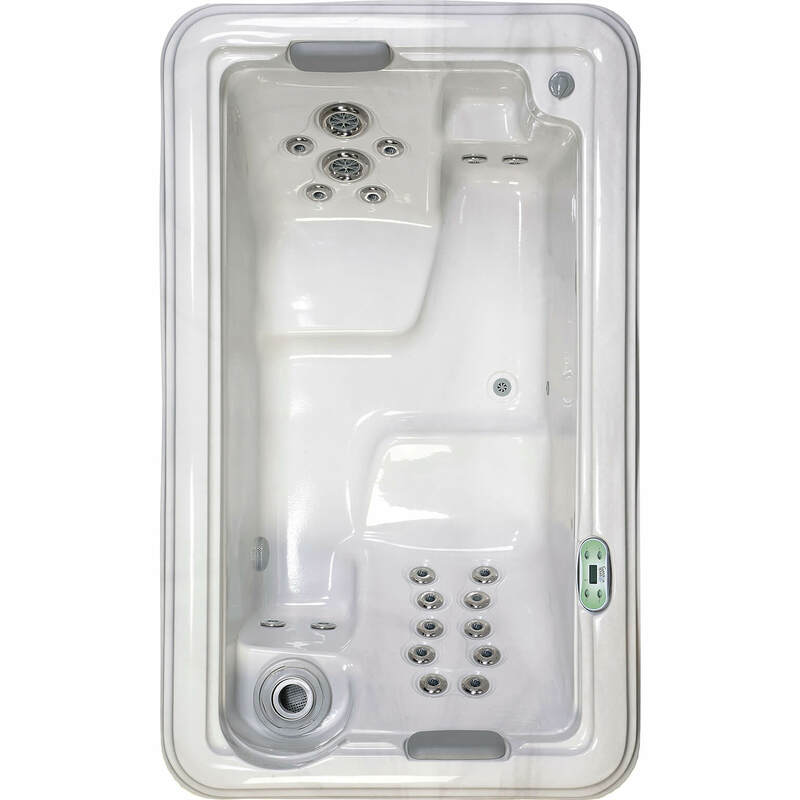 • Spa Cover – The ASTM cover helps to preserve your spa, conserve energy, and is engineered to protect your investment and your loved ones. 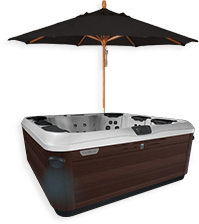 • 1 Year Warranty* – Lifetime structure warranty, and a one year warranty comes standard on surface, cabinet, parts, labor, plumbing and electrical.